Greg Senser of Boynton Beach was convicted of second-degree murder and sentenced to life in prison for the stabbing death of his drinking buddy. According to reports, Senser had nearly decapitated the man. 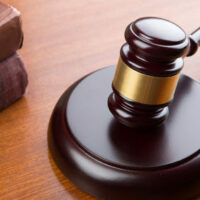 The conviction, however, was overturned on appeal due to the fact that the judge allowed testimony of Senser’s statements that were issued before he was read his Miranda Rights. The Appeals Court ruled that this testimony was inadmissible and now the case needs to be retried. According to reports, the defendant was approached by police and took off running. When the police finally caught up with him they asked him why he ran. He responded by telling them that a black man was shooting a weapon at him and he was in fear for his life. Senser later confessed to the stabbing but also claimed that he had acted in self-defense. Prosecutors, however, claimed that they did not consider Senser a suspect, even though the police first approached him near the body of the victim. The question, however, was designed to elicit incriminating information according to the judgment and was not designed to inquire into Senser’s well being. The statement proved pivotal to Senser’s prosecution because it was used to show that he had initially lied to police and then changed his story upon admitting that he caused the death of the victim. Who Did What to Who and Why? Most criminal cases involving a victim boil down to that question. In this case, both the prosecutors and the defense attorneys agreed on the majority of the facts. Senser killed his drinking buddy in a fight that had broken out between the two of them. All of the attorneys agreed to that much of the story. The defense, however, argues that the defendant felt as though his life was in danger and responded with lethal force. The prosecution argues that the defendant was drunk and high and responded with lethal force because he lost control of his senses. Key, however, to the defendant’s claim is that the jury trusts his side of the story. If evidence that he lied to the police concerning the events of that day is admitted, then that puts his self-defense story in jeopardy. If this were a stand your ground case, which it isn’t, the prosecution would have the burden of proving that stand your ground does not apply. In a typical self-defense case, however, it’s the defense that has the burden of proving beyond a reasonable doubt that the homicide was justified. Stand your ground can only be used as a justification for homicide when the defendant is otherwise abiding the law. In other words, if a drunken fight breaks out, stand your ground cannot be used as a defense since neither party is innocent. Then you deserve the best defense available. Contact Skier Law Firm, P.A of West Palm Beach and we’ll begin discussing your case immediately.